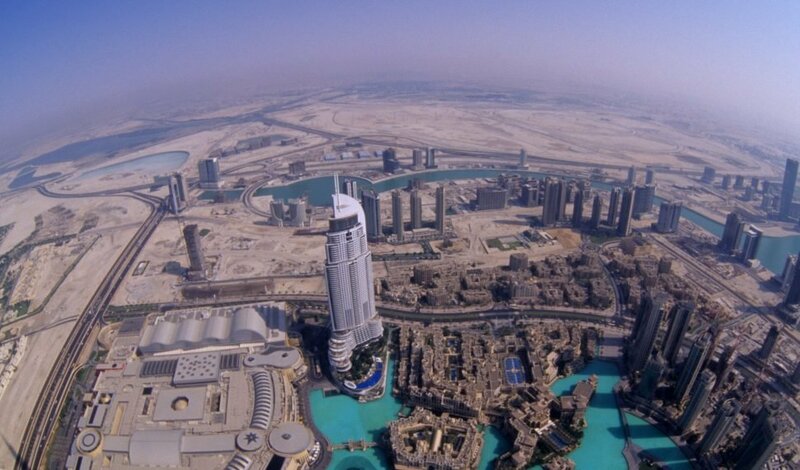 Photo 1: View from Burj Khalifa, Dubai, UAE (Source: Andrey, Flicker). Author: Dr. Mohamed Abdelraouf, Sustainability Research Programme Manager, Gulf Research Centre. Peer Reviewer: Gül Özerol, Senior editor, Fanack water. The limited availability of fresh water in the United Arab Emirates (UAE) has for decades presented a major challenge to the Gulf state’s government and people. Scarce rainfall combined with a high rate of evaporation, consumption and urbanization has led to deficits in the water budget. 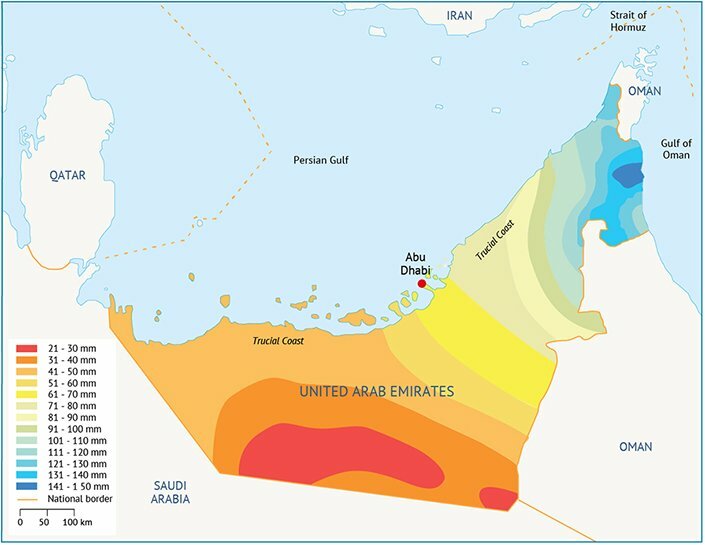 The UAE is located in the eastern part of the Arabian Peninsula, at the entrance to the Arabian Gulf (Map 1). It is a federation of seven emirates (Abu Dhabi, Ajman, Fujairah, Sharjah, Dubai, Ras Al-Khaimah and Umm Al-Quwain) and has a total area of about 83,600km2. The capital city, Abu Dhabi, is an island located in the Emirate of Abu Dhabi. The latter represents almost 87% of the mainland area. The UAE can be divided into three ecological areas: the north-eastern mountain areas, sandy/desert areas and marine coastal areas. Eighty per cent of the country is desert. The low fresh water availability can be primarily attributed to the climatological constraints of an arid to semi-arid climate, which is characterized by scanty precipitation and a high rate of evaporation (average daily evaporation is 8.2mm). The country may receive no rainfall for months because of extremely random storm patterns. Annual rainfall ranges between 80-160mm and the average precipitation is 78mm per year (Table 1). Map 1. 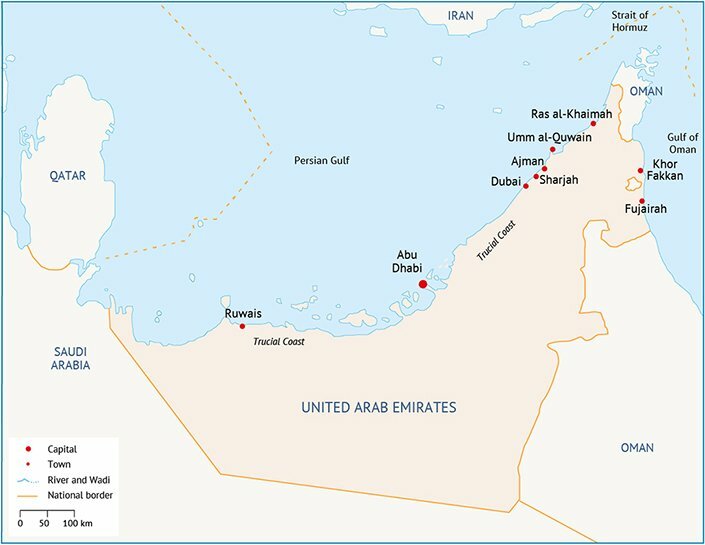 Map of the United Arab Emirates. Table 1. Annual and average rainfall. The average annual precipitation is illustrated in Map 2. Over 80% of the annual rainfall occurs during the winter (December to March). The mean maximum temperature reaches over 40°C in the summer and high relative humidity is more than 97%. Map 2. Average annual precipitation in UAE. The total population is around 9 million and is expected to reach around 13 million by 2050 (Table 2). Currently, around 90% of the population lives in urban areas; by 2050 almost 100% will do so. The gross domestic product (GDP) grew by an average of 4.76% from 2000-2015 and is forecasted to rise 4-5% from 2017-2020, as shown in Table 3. Industry and the services sector contribute 99% of GDP, as shown in Figure 1. Figure 1. GDP by sector (2015). Table 3. GDP growth, actual and projected. Abdel Raouf, M., 2009. ‘Water Issues in the Gulf: Time for Action.’ Middle East Institute, Washington, DC. World Bank, no date. Average precipitation in depth (mm per year). Available at http://data.worldbank.org/indicator/AG.LND.PRCP.MM?locations=AE, accessed 9 January 2017. Ministry of Environment and Water, 2015. UAE State of Environment Report. Worldometers, no date. United Arab Emirates Population. Available at www.worldometers.info/world-population/united-arab-emirates-population, accessed 9 January 2017. World Bank, no date. Urban population (% of total). Available at http://data.worldbank.org/indicator/SP.URB.TOTL.IN.ZS?end=2015&locations=AE&name_desc=true&start=1960&view=chart&year=1960, accessed 12 January 2017. Trading Economics, no date. United Arab Emirates GDP Growth Rate. Available at http://www.tradingeconomics.com/united-arab-emirates/gdp-growth, accessed 9 January 2017. Index Mundi, 2016. Arab Emirates Economy Profile 2016. Available at www.indexmundi.com/united_arab_emirates/economy_profile.htmlUnited, accessed 10 January 2017.